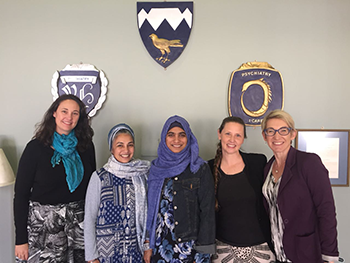 Fadia Gamieldien (centre) together with (from left) Dr Carrie Brooke-Sumner and her supervisors Prof Roshan Galvaan, Prof Katherine Sorsdahl and Prof Bronwyn Myers. African Mental Health Research Initiative (AMARI) PhD fellow at the CPMH, Fadia Gamieldien, delivered her PhD protocol at the Valkenberg Education Centre on 4 September 2018. 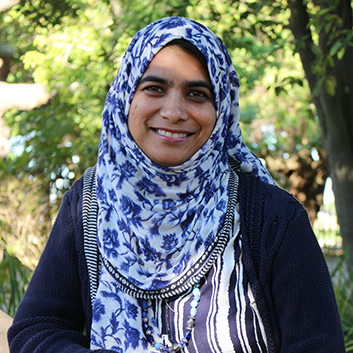 An occupational therapist by profession, Fadia completed both her undergraduate (BSc in Occupational Therapy) and post graduate (Masters in Occupational Therapy) degrees at the University of Cape Town (UCT). Her PhD is focusing on exploring recovery focused interventions for men with severe mental illness in South Africa. Mental, neurological and substance use disorders contribute significantly to the global burden of disease. This has serious consequences for individuals, their families and communities. In South Africa there is inadequate mental healthcare provided across the levels of health care despite the deinstitutionalisation process. This treatment gap creates the opportunity to develop recovery focused interventions. Recovery has mostly been understood clinically where the emphasis is on the alleviation of symptoms. Reconceptualising recovery as a personal, nonlinear, cyclical journey with services across the continuum of care may allow service providers to offer recovery focused interventions. Fadia’s study aims to understand the recovery needs of men with a severe mental illness so as to inform the development of a recovery-focused measure for use in the South African context. Her full abstract is available for download here. 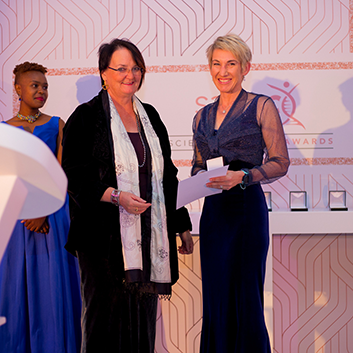 This past weekend the South African Medical Research Council again celebrated and honoured its productive and prolific researchers for their contribution to public health. The organi sation honoured Project MIND‘s Prof Bronwyn Myers with a silver medal, which is awarded to scientists who have made important scientific contributions in the country. Prof Myers is the Chief Specialist at the SAMRC’s Alcohol, Tobacco and Other Drug Use Research Unit.